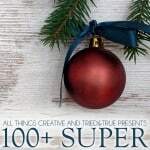 There are some days that I like to craft practical and useful projects…and then there are days like today. 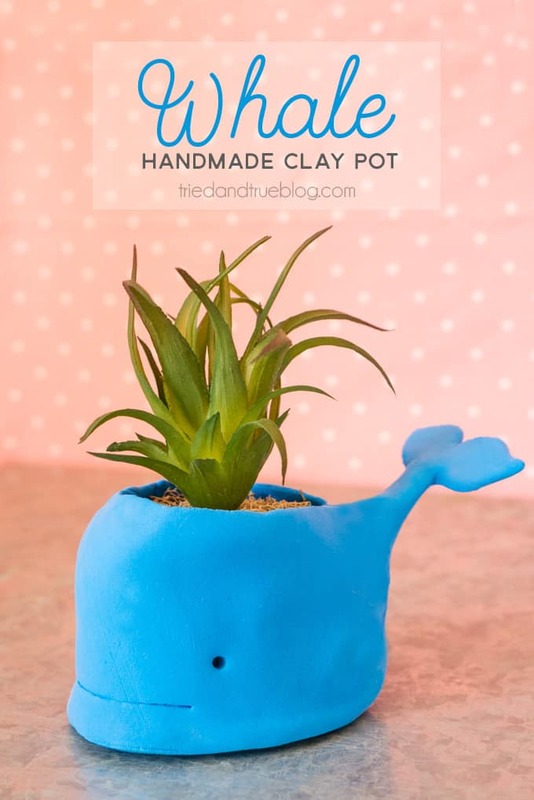 Sure, this Handmade Whale Clay Pot is a little bit silly and totally unnecessary if you don’t like super cute succulent planters that is! 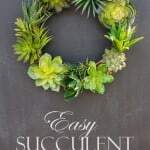 Made with air-dry clay, you can either use a artificial succulent like I did or form around a removable clay pot and use a real plant. 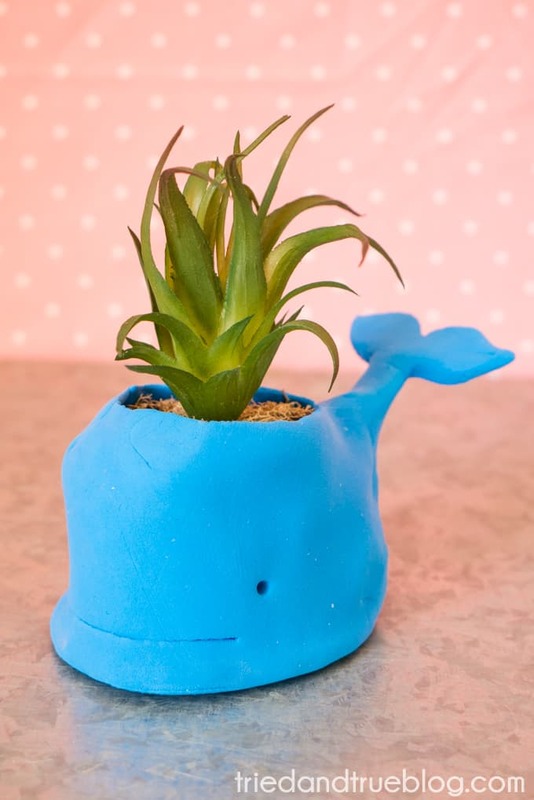 I purposely made my Whale Clay Pot small so that I could finish it in about 15 minutes (without drying time) but you can adjust this project to make it any size! 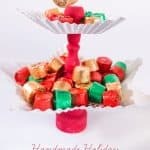 Check out more quick and easy clay pot projects below! 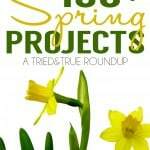 This post contains affiliate links for your convenience and to assist with the maintenance of this site. Step 2. 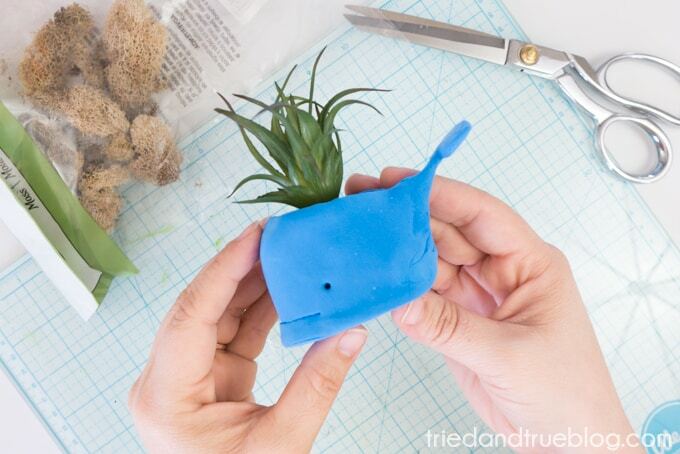 If you want to make a small whale planter, cut an approx. 3″ oval out of the flattened clay. 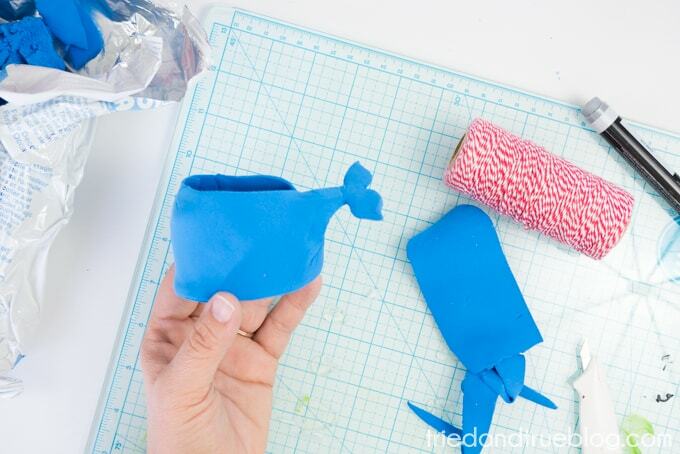 The following steps will include instructions on how to make this size of whale clay pot. You’ll have to adjust the sizing accordingly if you want to make a larger one. Step 3. 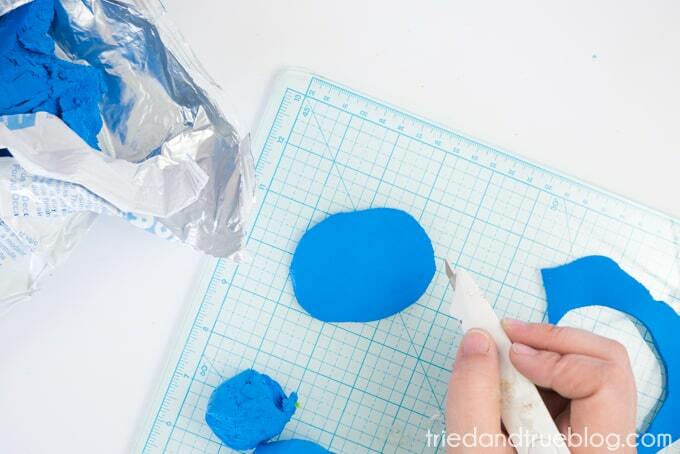 Roll out another section of clay and cut to create a tail shape. Place at the end of the oval and support from underneath. Step 4. Form a long strip of rolled clay approx. 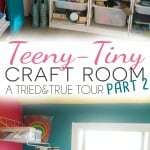 2″ tall and 12″ wide. 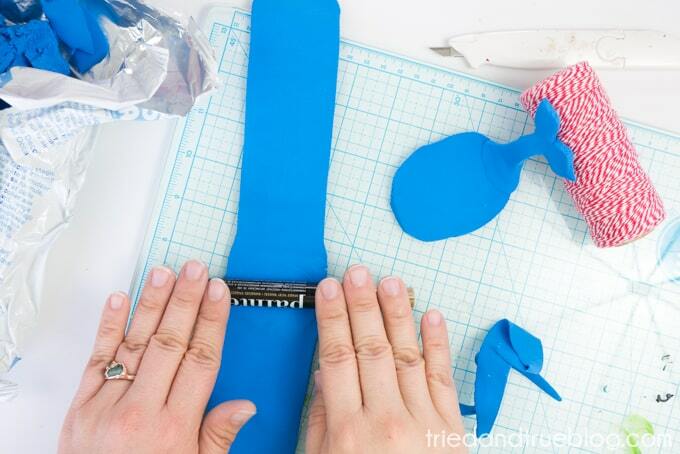 You may need to press two strips together to achieve the length. Step 5. Position the strip onto the side of the oval base. Trim and press around the tail. Step 6. 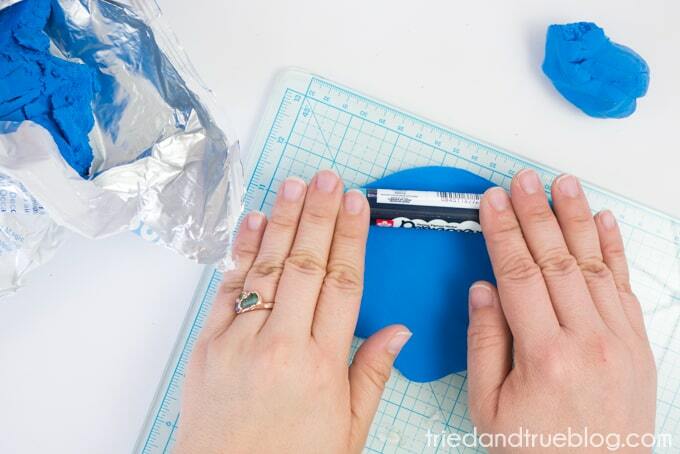 Crease the top edge and press to smooth. Step 7. 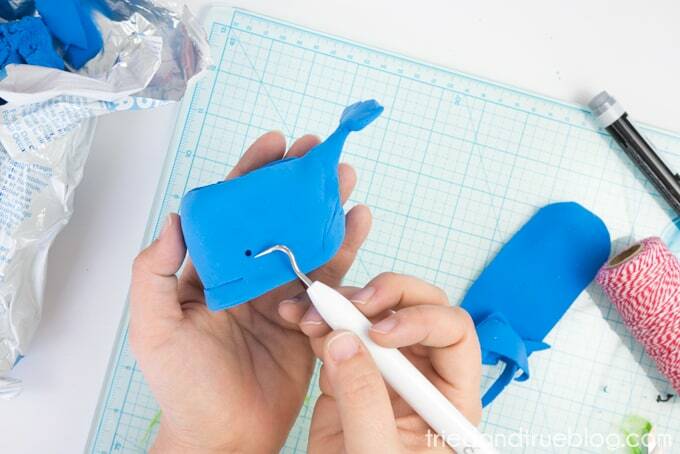 Use a sharp craft knife to carefully cut a mouth at the base of the whale. Go ahead and push the knife all the way through. This clay is really spongy so it’ll self-seal itself. Step 8. Use a sharp point to add the eyes diagonal to the mouth. 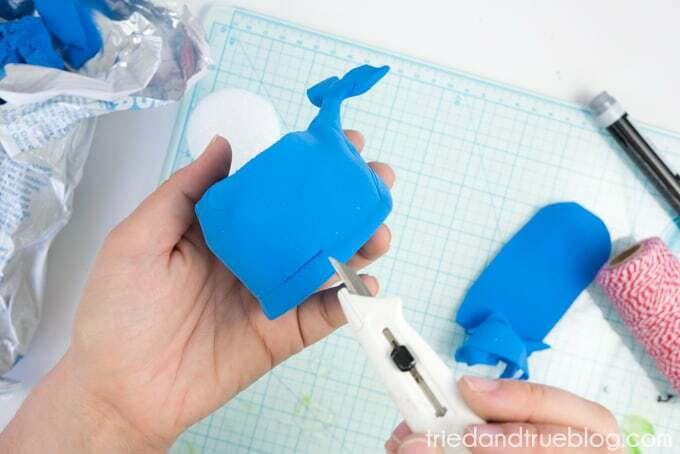 Allow your whale to dry completely according to the package instructions. 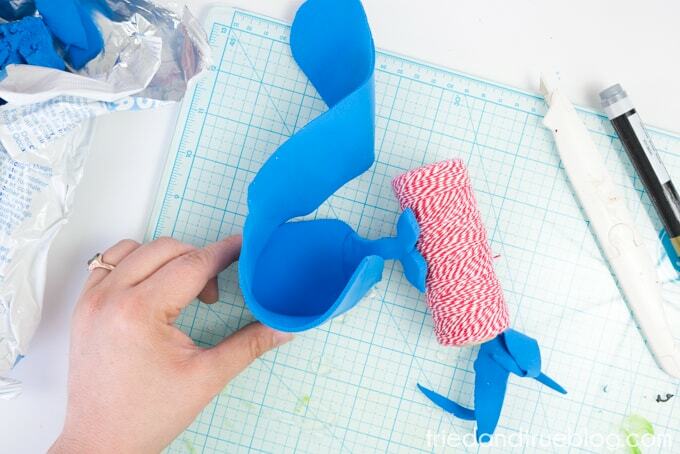 Don’t forget to make sure the tail is supported so that it dries upright! Step 9. 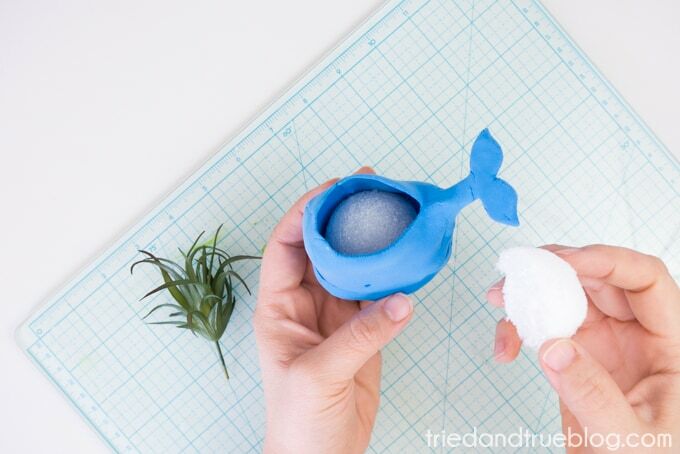 Now that your whale has hardened completely, cut your styrofoam ball in half in carefully press into the whale clay pot. Step 10. 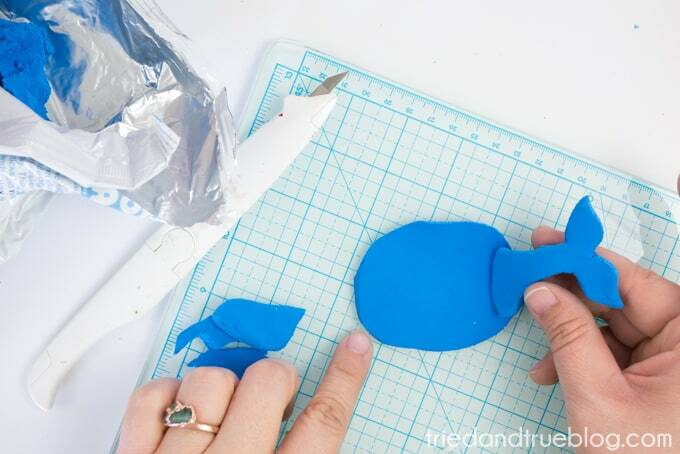 Apply hot glue to the top of the ball and press moss in place. Step 11. 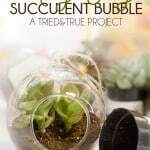 Push artificial succulent in place. 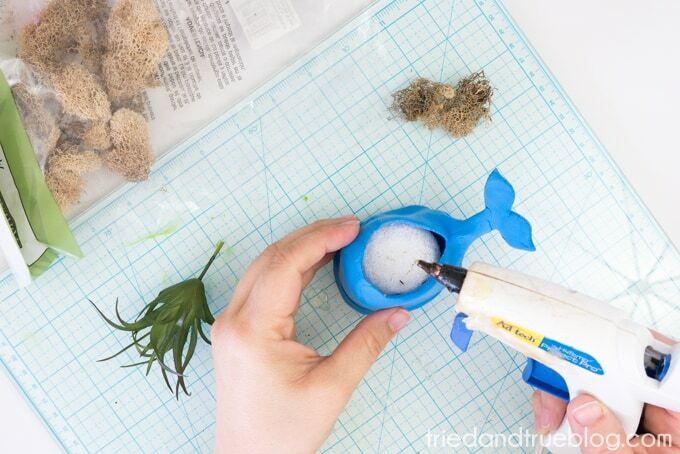 I love how the succulent looks like water being sprayed from this Whale Clay Pot’s “blowhole!” This project is the epitome of whimsical and since it only takes about 15 minutes to make, you don’t have to worry about wasting too much time. 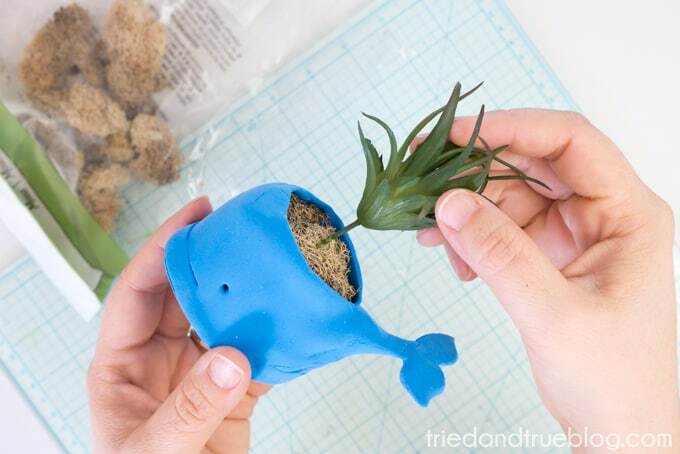 Hope you have a whale of a good time making one! 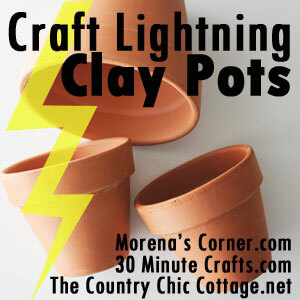 Thank you to The Country Chic Cottage, 30 Minute Crafts, and Morena’s Corner for another great Craft Lightning! 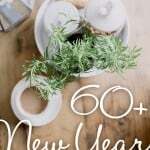 Click on the banner below to check out more fun clay pot ideas! So adorable Vanessa!! Love it!! 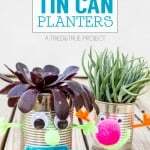 This is a lovely idea, I will be doing it together with my kids and see how it will turn out.